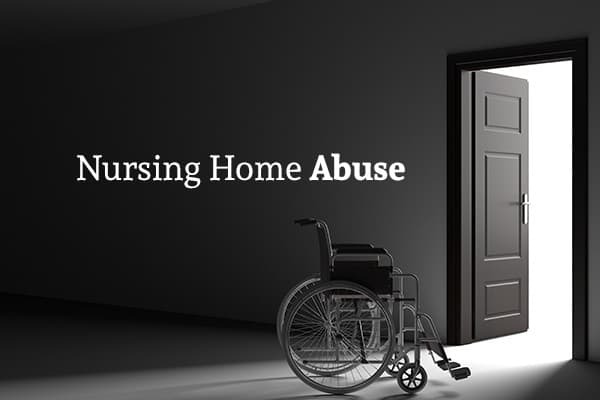 What to Do about Nursing Home Abuse | Branch & Dhillon Law FirmBranch & Dhillon, P.C. No matter how much thought and care you put into choosing a nursing home for your elderly parents, they may still end up getting abused. Nursing homes are staffed with many people, and any one of them has the potential to be abusive. Even if a nursing home does background checks, an abusive characteristic will not be evident unless the applicant has been charged with domestic violence or violent crimes. What is Nursing Home Abuse, Exploitation or Neglect? Any type of corporal punishment. If a resident is being neglected, this means that the caretakers fail to provide medical services and other actions that are required for the resident to avoid emotional or physical pain or harm. If a resident is being exploited, this means that the caretakers are using the senior’s resources for gain, profit or personal benefit. Since seniors placed in another’s care still have the right to save, spend, give away, receive or invest their money, exploitation is easy. Who Can Help if You Suspect Abuse? The Texas Department of Aging and Disability Services (DADS), along with the Office of the Attorney General, work together to protect senior citizens and other residents of long-term care facilities. DADS licenses and inspects nursing homes and investigates any violations of nursing home standards. If DADS has concerns about a home that has been licensed, it may ask the Office of the Attorney General to investigate the home and to make sure that rules and regulations have been properly implemented. If a violation is found, the Office of the Attorney General will act quickly to address the violations since the health or lives of your loved ones may be in danger. The law requires you to report any specific act of neglect, abuse or exploitation. In Texas, you should call the Department of Aging and Disability Services at (800) 458-9858 to make a report. This number is for abuse happening in assisted care centers, nursing homes and day activity and health services agencies. The Department of Aging and Disability Services is open from 7:00 a.m. until 7:00 p.m., Monday through Friday. If the nursing home administrators or employees retaliate against you or try to intimidate you for reporting poor care, that is also a violation of the law. You may also report the issue to Texas Health and Human Services (HHS). Your name and the name of the abused senior will be kept confidential unless the law requires the agency to release the names. You may make an anonymous report, though this limits HHS from being able to follow up with you. After you make a report, HHS will arrive at the facility unannounced. The agency’s investigation includes observations; interviews with you as the complainant; interviews with family members, staff, residents and others; and a review of agency records. Once the investigation has been completed, HHS will notify you of the results. Those who are under hospice care. In addition to reporting any abuse to the appropriate authorities, you should also contact an attorney who is experienced in nursing home abuse cases. If you are reluctant to make a report or discuss your concerns with the authorities listed above, you may contact an attorney who will discuss the issues and make the report for you. Contact Branch & Dhillon, P.C. Contact Branch & Dhillon, P.C. if you suspect nursing home abuse, whether you have already reported the issue or not. You can also contact our team if you have reported nursing home abuse and have not seen a change in the actions or inactions of the nursing home or its staff. What Can I Do if I’ve Been Hurt on My Motorcycle?